Are 3 days in London enough? This is something we are often asked. So we put the question to our London expert Karen Worrall, who shares her perfect three days London itinerary. I’ve spent a lot of time in Britain’s capital city. I lived there for a few months and have regularly visited several times a year for the past two decades. The vast city and its 32 boroughs have a lot of exciting things to see, which could take years to see it all. But luckily, many of the major sights are located within the central area and are possible to see in just three days. Planning is key to making the most out of your time. 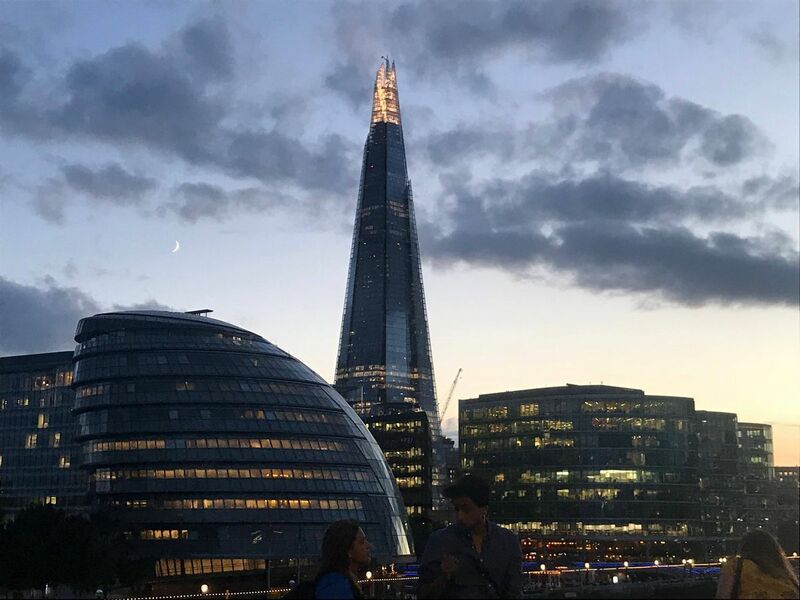 Plus you don't want to waste too much time on transport, so I put together this easy London Itinerary to help you make the most out of your 3 days in The Smoke. Can I do London in 3 Days? I have created this itinerary for you so you can make the most of limited time in the city. 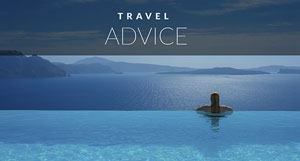 This guide has you visiting the sites by area to maximize time. I like to base myself in or near Covent Garden or Westminster as a lot of the best things to see in London are in these areas. But London’s transport system – particularly The Tube – is very convenient and easy to use. So even if you’re a little further away, it shouldn’t take too long to get in. If you can base yourself within walking distance of these areas, you’ll save a lot of money on transport. Pro Tip: Saving on transport may balance out potential extra accommodation costs. I lived in London last August while working for National Geographic Traveller (UK). I put together this itinerary based on things I did on that London trip. I carefully planned for things to do in London during my few days off while there. One of my favorite things about London is that it is diverse in terms of things to do, people's tastes and diversity of activities. So celebrate that by sampling London of old, and new. If you are looking for some more varied areas, make sure to check out my London neighborhoods guide. 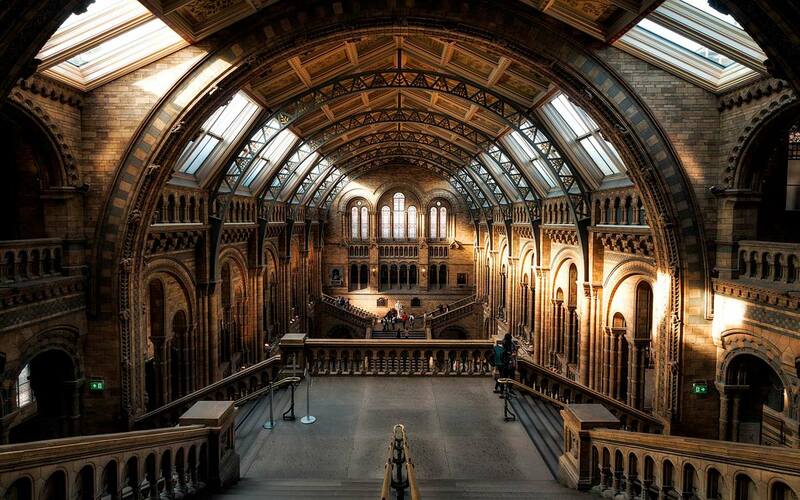 The best way that you can save money and seeing all of the sites is to get yourself a London Pass. Bonus: If you purchase the London Pass with Oyster Travelcard, you can travel across all London underground and bus services with the prepaid Oyster Card. For a more detailed outline see the How to Skip the lines and Save Money in Rome section below. Book your London Pass Now! Here is an interactive map of London (just click on it to open in another window) that will help you see what kind of distances you will be covering. And where everything is in relation to each other. This should make it easier to plan out your London 3 day itinerary. Westminster is one of the oldest areas of the city. It is also where the seat of power is. Home of The Crown and State are both in this area. 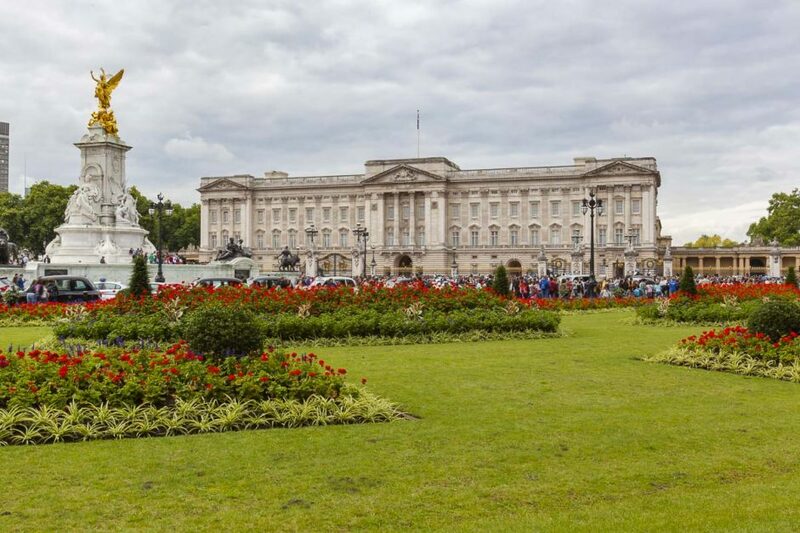 The Houses of Parliament are walking distance from the working royal home, Buckingham Palace. This area gives you a feel of the significance of London throughout history until today. It signifies the importance of traditions still adhered to in this very cosmopolitan hub. So we begin here, to get a feel for Queen and country. The Palace of Westminster is home to the Houses of Parliament, which made of up the House of Commons, and the House of Lords. The House of Commons is where the UK’s 650 Members of Parliament (MPs) consider and propose new laws. Here they scrutinize government policies by questioning current issues in debates in the Common Chambers or in Committees. The House of Lords is the second chamber, which is independent of – but complements and assists – the House of Lords. You can learn how it all works, and enjoy the splendid architecture, by taking an audio or guided tour – you can even add afternoon tea too if you like. Right next-door is Big Ben – which is not the clock as most people think – but the nickname for the Great Bell behind it. It is currently under renovation to change the black clock face to its original blue. It will be complete in 2021. Even though you can’t fully see it at the moment, it is still a must-see photo stop while in Westminster. Hours: Days and times available vary depending on when parliament is in session, so check the Parliament website. Cost: Audio tour £18.50/16 for concessions, children 5-15 one free per fee paying adult. Guided tour £25.50/21 concessions, children aged 5-15 £11. Under-fives are free on all tours. Afternoon tea £29, £14.50 for children aged 12 and under. Location: Westminster, London SW1A 0AA. Tube Stop: Westminster Station: District, Circle or Jubilee Line. A thousand years of history of Coronations, Royal weddings, military, martyrs and poets are in the walls of this grand church. Benedictine monks founded the Abbey in 960AD and it’s still used daily for worship. The Duke and Duchess of Cambridge: Prince William and Kate Middleton, in 2011. Her Majesty Queen Elizabeth II and His Royal Majesty Prince Philip Mountbatten, the Duke of Edinburgh, in 1947. Her Royal Majesty Princess Margaret and Anthony-Armstrong Jones 1st Earl of Snowdon, in 1960. 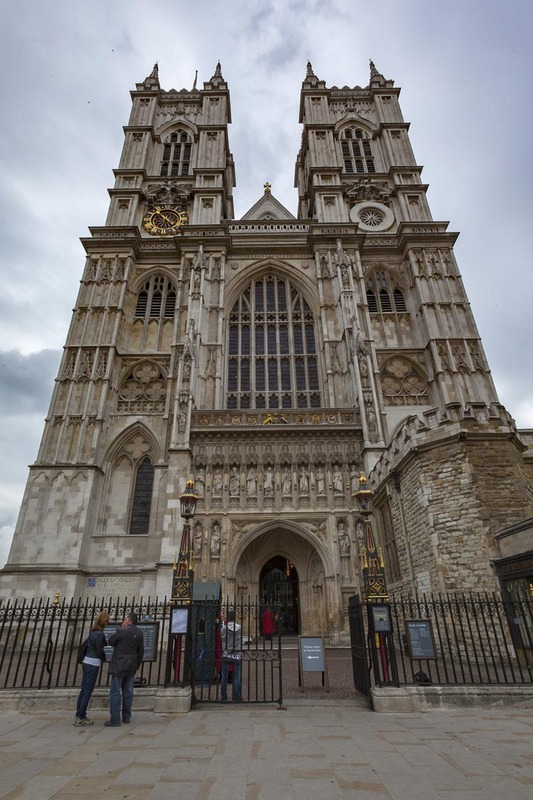 You can visit it by going on a multimedia guided tour, or adding a Verger tour to see parts inaccessible to regular visitors such as St Edward the Confessor’s tomb and have expert commentary on the Royal Tombs and Poet’s Corner. If you are visiting to worship, this is always accessible and always free. Don't forget, if you have the London Pass, admission is included! Hours: Monday-Friday 9.30am-3.30pm, Wednesday also 4.30pm-6pm, Saturday 9am-3pm May-August, 9am-1pm September-April, Sunday open for services. Cost: Multimedia guide tour £22 at the door, £20 online, £17 concessions, £9 children, under 6 free. Note: Prices are going up slightly from April 1st 2019 but new prices unavailable now. Verger tour £7 from April 1st 2019. Tube Stop: Westminster Station: District, Circle or Jubilee Line. Or St James Park: District and Circle Line. 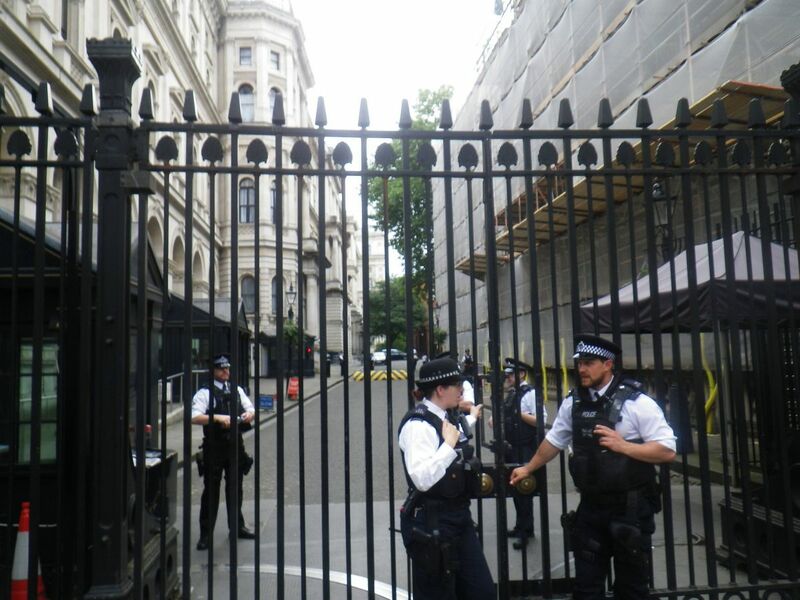 10 Downing Street is the official residence and office of the British Prime Minister (PM) and is worth taking a look at when in Westminster – whether you’re a fan of its residents or not. This prestigious address has housed British PMs since 1735 and is Britain’s White House. The most critical decisions to affect Britain for the past 275 years have been made behind these doors, including directives for the First and Second World War. There isn’t access to the actual building for security reasons, and it is used continuously. But you can get a decent view of it from White Hall. You’ll be able to get a photo of the building, the guards and if you’re lucky, you might see someone important coming or going. Hours: 24-hour view of the street. Location: 10 Downing Street, Westminster, SW1A 2AA. A few minutes walk away is the start of St James's Park. Alternate Attraction: If you are into War History make sure to check out the Churchill War Rooms on your way to St. James Park. Here you can explore the secret rooms of Winston Churchill that depict all ninety years of his life, divided into five chapters. A must do if you are into history! If you purchased the London Pass, this is included. If you did not, you can either take a Skip the line guided tour or peruse the museum on your own. 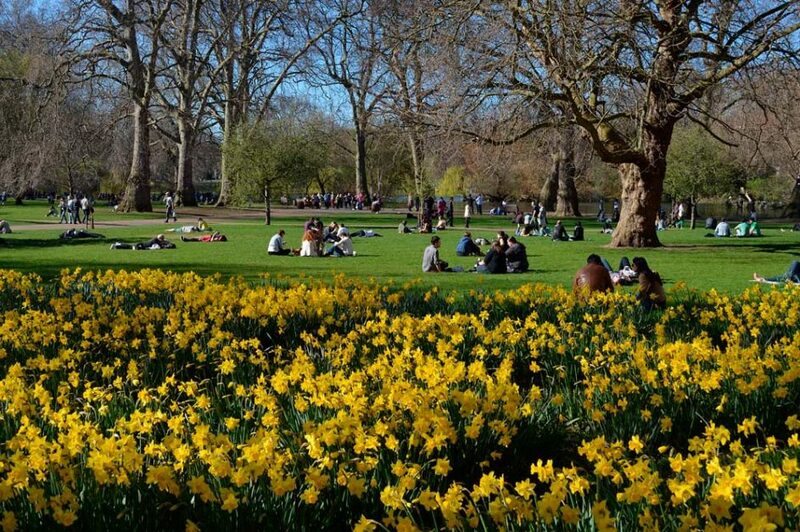 London is well catered for with green spaces, being home to over 400 of them, plus over eight million trees in Greater London. There are eight Royal Parks in Central London. St. James is right on our route making it the perfect spot to stop to relax and enjoy a picnic, ice cream or coffee from the small vendors or pop into the St James Café. The garden is 57 beautiful acres of peacefulness in the city center boasting stunning flower beds and a pond. It is close to Buckingham Palace, Whitehall and Clarence Hall. One of the highlights is to visit the pelicans that reside here. You can see them – Louis, Vaclav, and Gargi – being fed between 2.30-3pm daily by Duck Island Cottage. This spot is popular with high-powered politicians and business people working in the area; so keep your eyes peeled as you munch on your Panini in case you see someone famous. Location: Between The Mall and Horse Guards Parade. Metro: St James Park: District and Circle Line. As you leave the park, it is just a couple of minutes to our next destination. Buckingham Palace is the principal residence for Britain’s Royal Family since 1837 and is the official administrative headquarters for the Monarch. The stunning 775-room residence is a working palace that is a grand sight to see. It has 92 offices, 78 bathrooms, 53 Royal and guest bedrooms, and 188 staff bedrooms. It is over 300ft long, 360ft deep and 75ft high. The best view of Buckingham Palace is from in front, on The Mall. As it is a working palace and family home, it isn’t generally open. However, every summer for ten weeks when the Royals are on vacation and its 19 spectacular staterooms are open to the public. 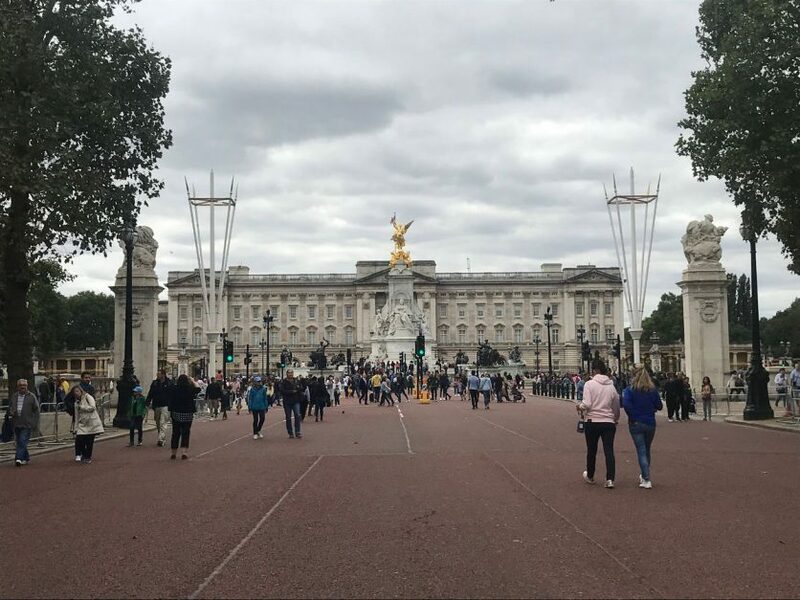 If you are a real Royal Fan make sure to check out this Buckingham Palace Tour Including Changing of the Guard Ceremony experience! Read more details of how to see it in in my 20 of the Best Things to Do in London article. If you are visiting London in these weeks when the Palace is open, you could switch your time in other of today’s other attractions for here if you like, as it is terrific. Hours: 24 hours to view outside. Tours begin from 9.30am-5.15pm from July 20th until September 29th 2019. Cost: Free to view outside. £25/22.80 concession, under-17 free. Family discount available. Tube Stop: Green Park, Piccadilly, Victoria and Jubilee Lines. During the other 42 weeks of the year, make this a quick Facebook or Instagram worthy photo stop then head to Camden. We’ll now take our first transport of the day since arriving in Westminster and hop on the Tube at Green Park station taking us on the Northern line to Camden Town Station. 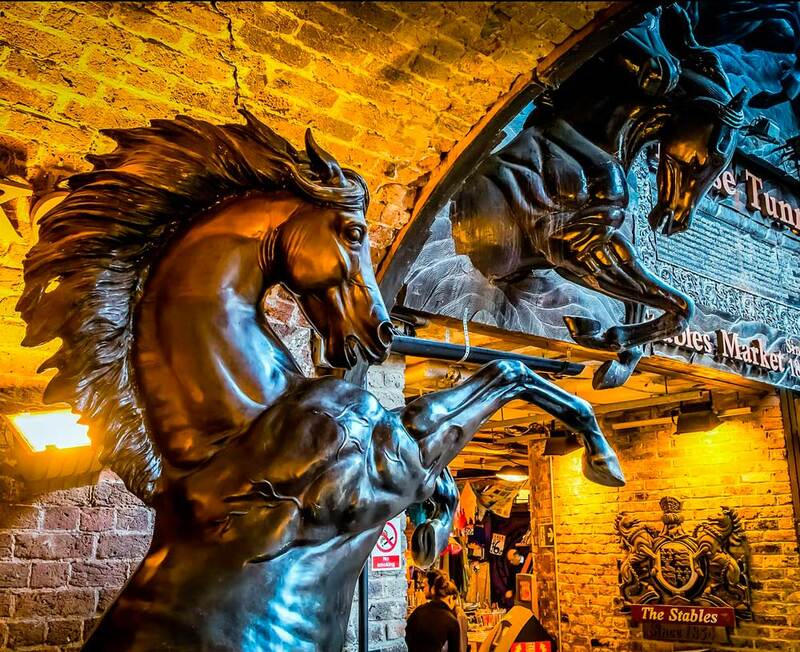 Camden has been one of London’s coolest spots to hang out since the 1790s. 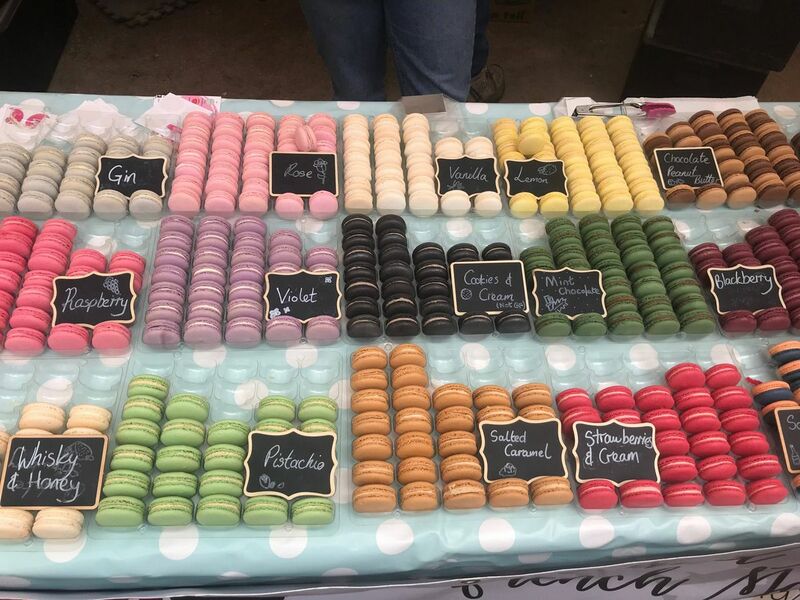 Check out as many of the markets as you have the energy for, from the original Camden Market (artisans), the Stables Market (alternative clothing), Inverness Street Market (shoes and souvenirs) and Camden Lock Market (books and crafts). The Grand Union Canal runs through it, and Camden Lock is a great place to wander and stop for a pint or some dinner after a busy day. 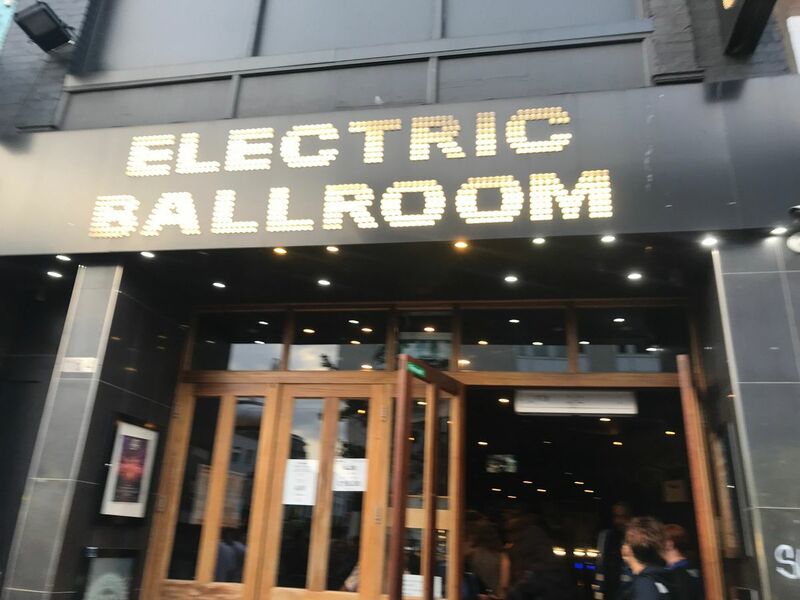 If you’re still going strong after dinner, head to Camden’s octogenarian iconic venue the Electric Ballroom on Camden High Street for an authentic Camden experience. Artists such as Sid Vicious, The Killers, Red Hot Chili Peppers, and Muse have performed here. 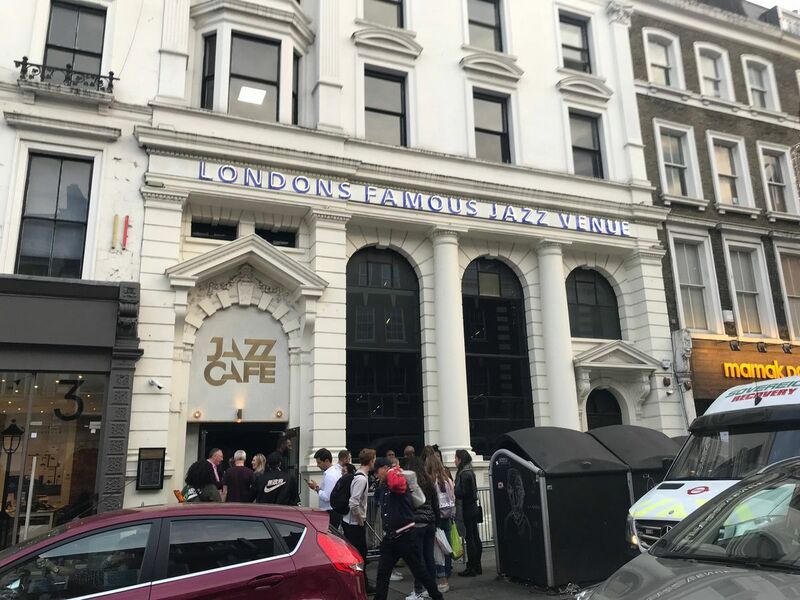 If that’s too wild, the Jazz Café on Parkway street is the best place for London’s top jazz, soul and blues gigs. Hours: Camden and Stable Market 10am-6pm in winter, usually extending to 8pm May-September. High street stalls open until 9pm, bars, restaurants later, nightclubs usually from around 8pm-2am. Cost: Free to stroll, cover charges for nightlubs. Location: Camden Market – Camden Lock Place, Camden Town, NW1 8AF. Tube Stop: Camden Town, Northern Line. On our second day in London, we’ll visit the Covent Garden and Trafalgar Square area. Here is an interactive map (click on it to open in another window) that will help you see what kind of distances you will be covering. Plus where everything is in relation to each other. Click here for the Interactive Map! The Covent Garden and Trafalgar Square area is my absolute favorite part of London. I feature it in all my London guides because I believe it appeals to everyone. 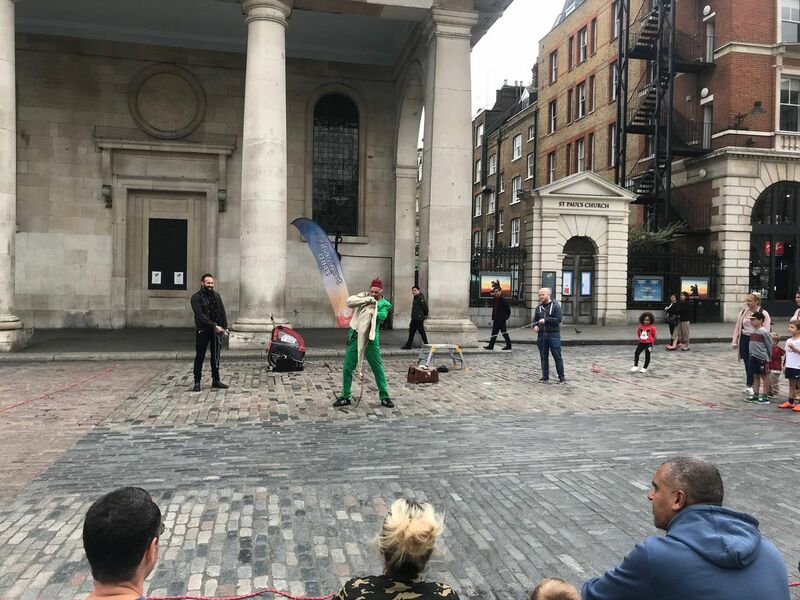 Begin by strolling around the original Covent Garden, checking out the stalls and shops, then look into the middle section and downwards towards the bar called The Crusting Pipe. 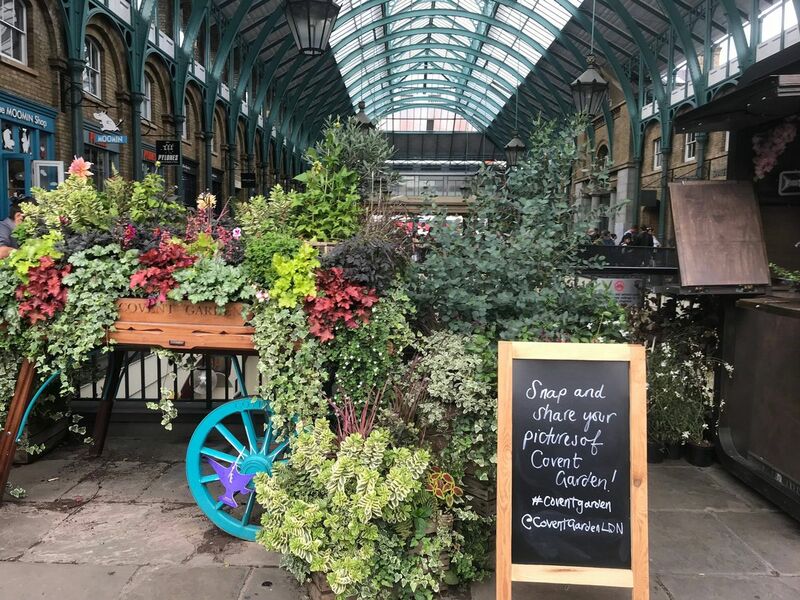 Covent Garden is where you’ll hear and see very high caliber music performances by classical musician students and performers from the nearby opera school. It is the best “busking” I’ve ever seen. Stop for a coffee or glass of wine and enjoy the shows, and purchase a CD from an act if you are moved to do so. Then head out over to the Jubilee Market for some real London market fun. Magicians, jugglers, contortionists, and more put on often-excellent al fresco shows. Make sure you have a few pound coins ready to pop in the hat at either of these otherwise free outdoor shows. If you want a more in-depth history of the area, we recommend Viator. They offer a great Covent Garden Sightseeing Tour that takes you to all the cool areas. Hours: Square 24 hours, shops and markets regularly 10am-6pm. Cost: Free to stroll. Have a couple of pounds ready to put in the hat of performers you enjoy. 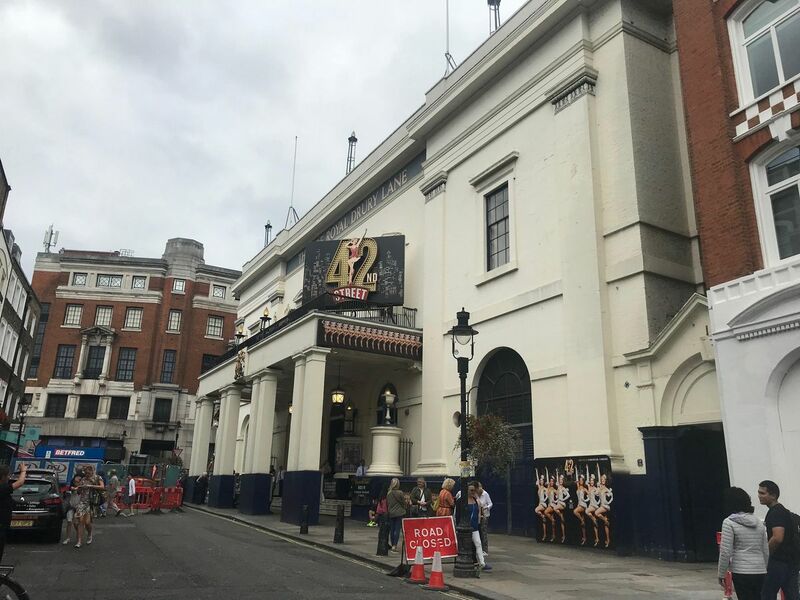 Drury Lane is a typical old London street, which is home to one of London’s oldest theatres – the Theatre Royal. Since the original theatre’s opening in 1663 many of the city’s biggest productions have been put on here. Even though the theatre is currently under a £45 million refurbishment until 2020, it is still worth a look while you’re in the area. Many other historical London theatres are very nearby. At the top of the street is the perfect place to stop for brunch. 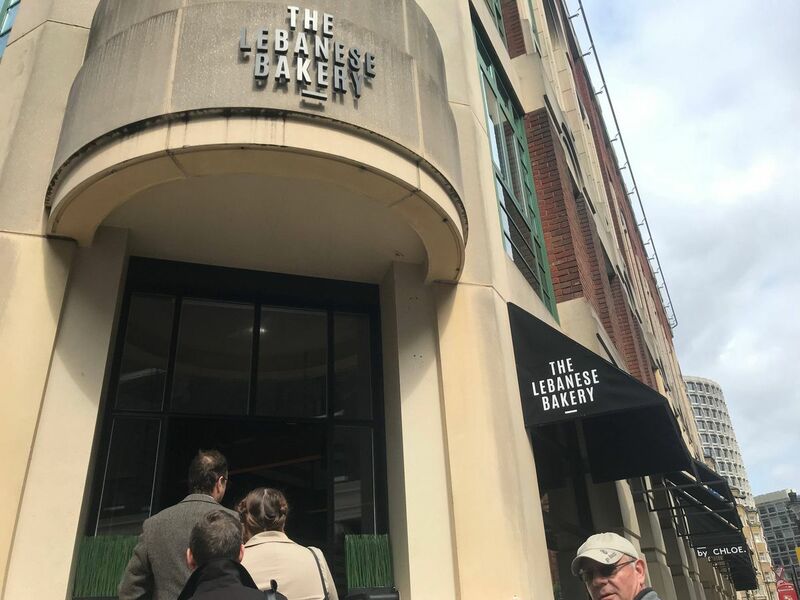 The Lebanese Bakery has become incredibly popular since it opened in summer 2018. 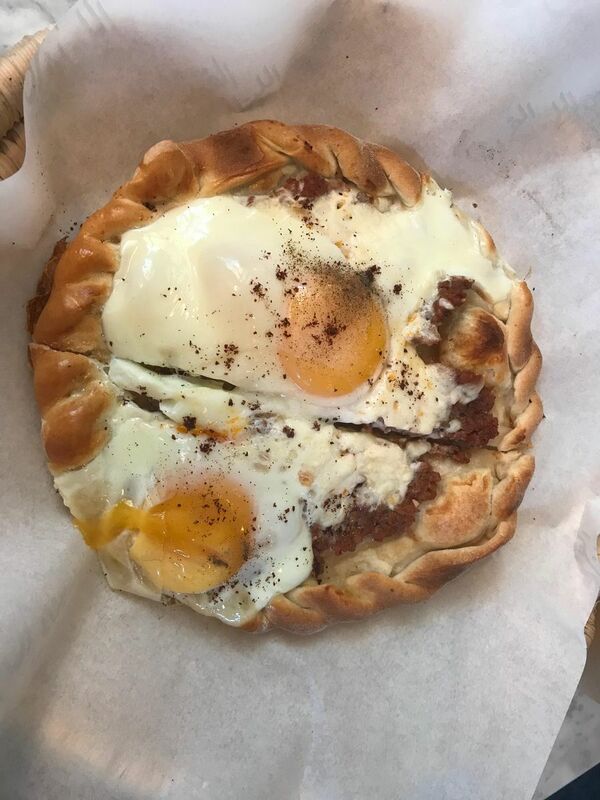 Their philosophy is to be a neighborhood bakery using primarily ingredients from Lebanese farmers, using traditional cooking techniques to a city center clientele. It works. Their Lebanese dough flatbreads Manoushehs are amazing, and the “breakfast pizza” options are incredible. Hours: Drury Lane 24 hours. Theatre Royal Lebanese Bakery Monday-Thursday 9am-10pm, Friday-Sunday 8am-10pm. Location: Drury Lane, Covent Garden. Tube Stop: Covent Garden, Piccadilly Line. Stretching along from Fleet Street to Trafalgar Square, this is an excellent spot for high street shopping, as well as some more unique stores, such as tea shops and the Japanese Bakery. Once you’ve finished retail therapy and arranged tickets for a West End show later, we arrive at London’s most iconic square – Trafalgar. 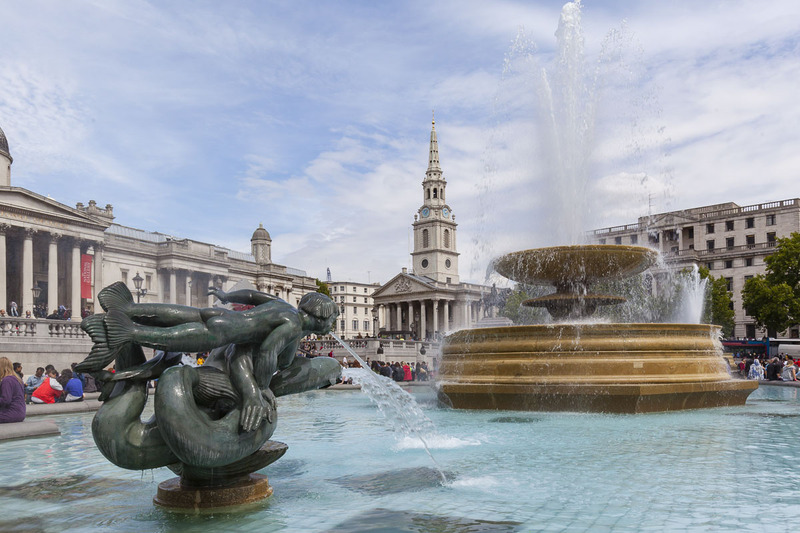 Named after Britain’s victory at the Battle of Trafalgar in 1805, the square designed by John Nash, and opened in 1844 has a 170ft column with a statue of Lord Admiral Nelson in its center and is flanked by statues of two lions and beautiful fountains nearby. The square itself has attractions all around it with the National Gallery at the north end, St Martins-in-the-fields church (which hosts many classical concerts and a great café The Caves underneath it) and The Strand at the east. Whitehall is at the south, and The Mall and Admiralty Arch at the southwest. Hours: Strand shops generally 9am-6pm, Trafalgar Square 24 hours. Cost: Free to stroll and view. Location: Trafalgar Square, WC2N 5DN. Tube Stop: Charing Cross, Bakerloo and Northern Lines. 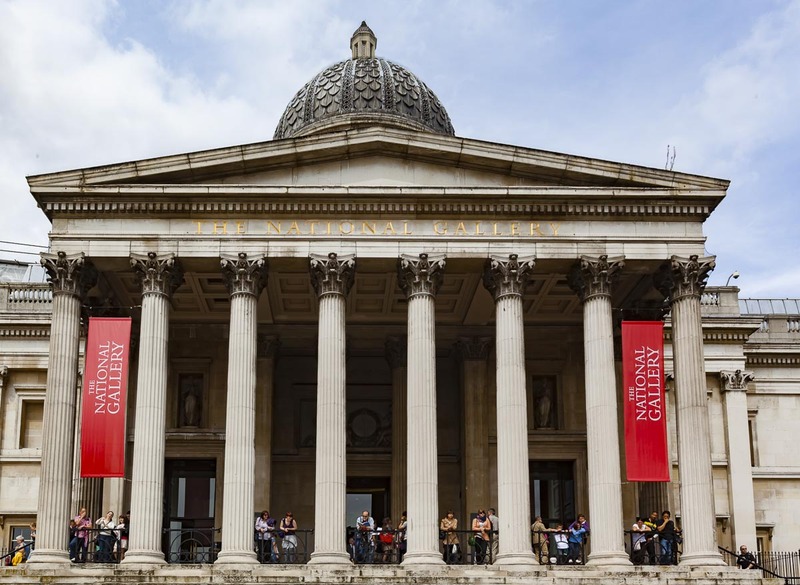 The National Gallery is my favorite gallery in London, which I visit on every trip there. It is “the story of European art, masterpiece by masterpiece”. 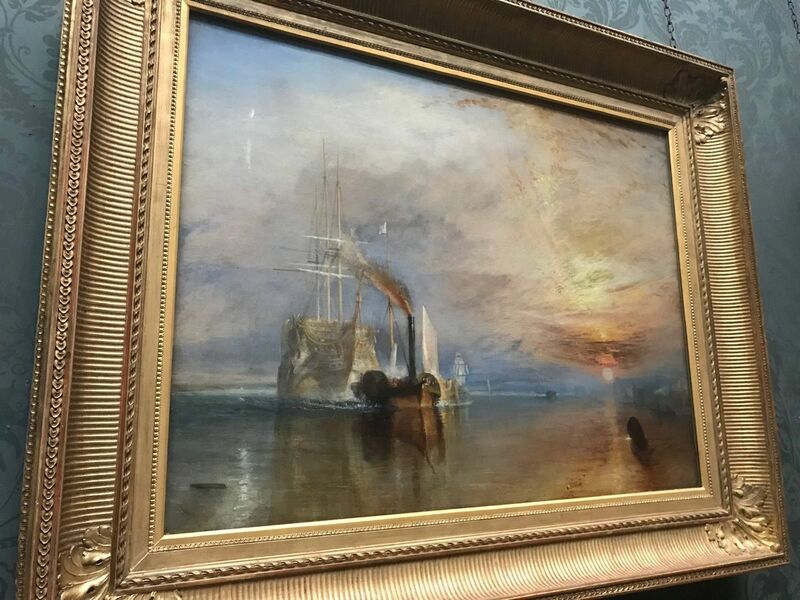 It is home to a staggering array of masterpieces by masters from the 1300s through to the 1900s, including Titian, Cezanne, Seurat, Monet, Bellini, Rubens, Van Gogh, Michelangelo, Raphael, Canaletto, Turner, Da Vinci, and Botticelli. It is free to visit the permanent collections, but donations are always appreciated. Tours run throughout the day of some of the most important pieces as well as individual interest talks. Audio guides in many languages are available to rent too. The museum hosts many fascinating special exhibitions, which are often worth the fee to see too. Currently, there is one on Sorola: Spanish Master of Light, which is on until July 7th, 2019. Hours: 10am-6pm daily, extended to 10pm on Fridays. Cost: Permanent exhibitions free. Sorolla exhibit £14 online price Mon-Fri, £16 at weekends. £2 more in person. Just behind the National Gallery is another of London’s most vibrant squares. Leicester Square is a hub of activity with street performers and buskers next to cinemas Odeon, Cineworld and Vue where many movie premieres take place. The middle of the square is a good spot to stop, and people watch with a coffee. It is flanked by several theatres and restaurants that provide good pre-theatre dinner menus. 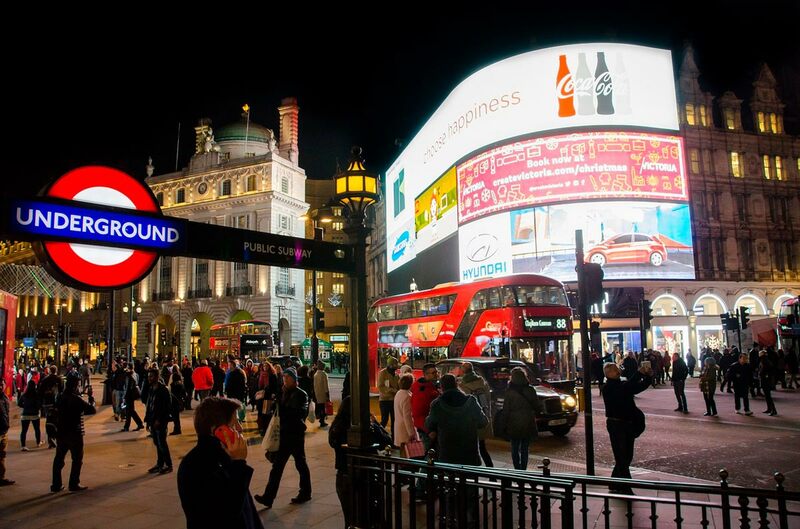 From here, walk just four minutes northwest and you’ll arrive at our next bustling square – Piccadilly Circus. This square is like London’s Times Square with its giant advertising neon signs and always full of people at any hour. Location: Leicester Square, Soho, WC2H. Tube Stop: Leicester Square, Northern and Piccadilly Lines. London’s Chinatown is just a six-minute walk away. 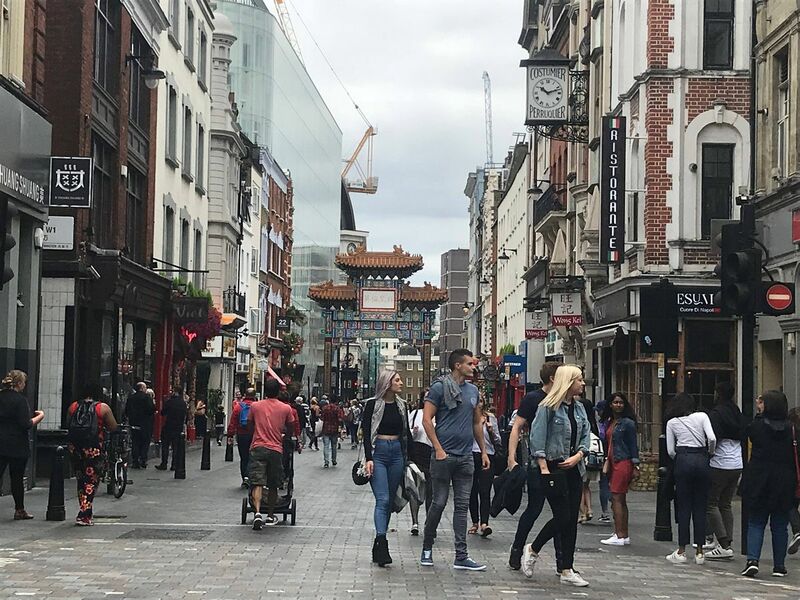 Chinatown is a great place to wander and look in at the shops, markets, and supermarkets at the wares from Chinese and other Asian immigrant nations living in London. It is also one of my favorite areas to go for dinner. Plum Valley and Imperial China have delicious food and atmosphere ideal for a sit-down meal, Jen Café is great for a quick bite and Kowloon Bakery my top pick if you’re short on time and need to grab and go. After you’ve been fed, go to see the West End Show you managed to get tickets for earlier. If musicals aren’t your thing, walk three minutes to Frith Street to Ronnie Scott’s Jazz Bar to hear some of London’s finest musicians. Hours: Gerrard Street 24 hours. Shops generally 9am-8pm, restaurants and bars individual times, but most around 12pm-10pm for restaurants and until 12am for bars. Cost: Free to stroll street, costs your choice in shops or amenities. Location: Gerrard Street, W1D 6JN. Tube Stop: Leicester Square or Piccadilly Circus with both on Northern, Bakerloo and Piccadilly Lines. On our final day in London, we’re going to explore the uber cool South Bank area and its treasures. 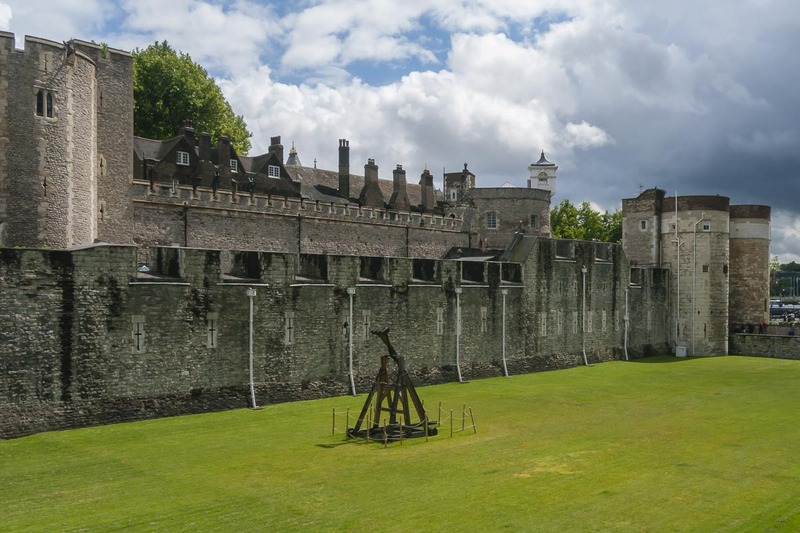 From the ancient Tower of London to the home to hip festival tents and modern art, it has something for all tastes. The Tower of London has been the home of history, murder, intrigue, plots, prisoners, royalty and the Crown Jewels for centuries. The structure is millennia old and is one of the best places to learn about the darker side of the city’s past. The Yeoman Warders give enthralling tours of the tower. They know their stuff, as are all decorated military men of over two decades of service. Their nickname, Beefeaters, came about as being the King’s Royal Guard, they were allowed to consume as much meat as they wish from the King’s table – a rare luxury. Make sure not to miss meeting the seven ravens of the Tower, whose presence is thought to protect it. And look out for the Ravenmaster, who looks after them and also has many tales to tell. The Crown Jewels are literally the crowning glory of the tower, and seeing the Royal Regalia encrusted with over 23,000 gems is quite breathtaking. If you want even more information, we suggest taking a Tower of London and Tower Bridge Walking Tour. It is super informative and helps you appreciate the significance of these two landmarks in London. Cost: £24.70/19.30 concessions. If you have the London Pass, this is included and with Skip the line access as well! Tube Stop: Tower Hill, District and Circle Lines. From here, walk along the waterfront to London Bridge and walk across it to get to the other side of the Thames for our next stop. This is a delightful stroll with great views of some of London’s most famous building, as well as the picturesque Tower Bridge as you look back towards the direction of the Tower of London where we just came from. Borough Market is one of the best (and my top pick) of foodie markets in the city and is where we’re going to stop for lunch. Opened in 1851, it was and still is considered one of the top food markets in the world and it’s easy to see – and taste – why. All sorts of homegrown, organic, local and artisan produce are on offer here. Three Crown Square is the largest trading area full of fruit, veg, meat, and cheese, while the stalls flanking it have foodstuffs from around the world. There is a market hall, vintner area and multiple talented traders selling delicious food to take home as well as dishes to eat right there. There are also many special foodie events on. Check out the Demo Kitchen for what’s cooking when you’re in town. Location: 8 Southwark Street, SE1 1TL. Tube Stop: London Bridge, Northern and Jubilee Lines. 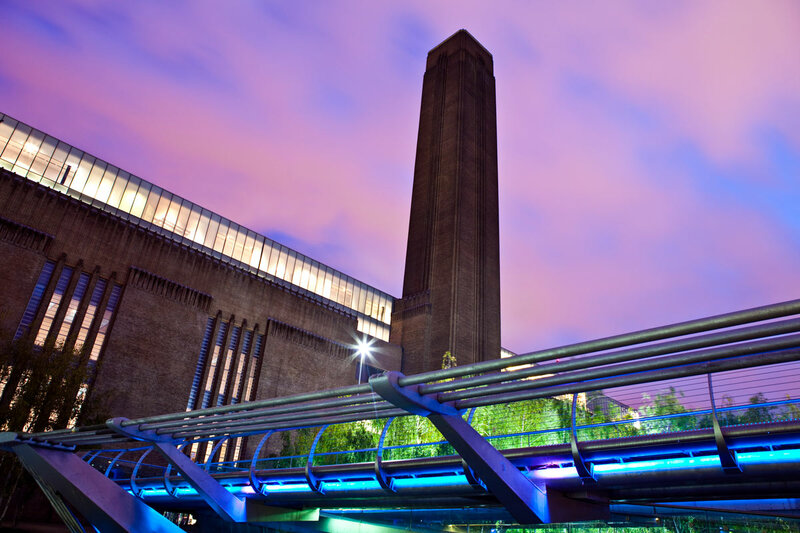 One of the world’s premier galleries dedicated to Modern Art sits along the south bank of the Thames in the dramatic building that was formerly the Bankside Power Station. This giant structure is a gallery and also exhibition space which holds many special events, and talks. If you enjoy modern art, large installation pieces, and oft-controversial statements through art, this is the place for you. Many hotly contested works have been given a place to shine here, including Damien Hirst’s shark in formaldehyde and Tracey Emin's bed. Its permanent collection holds paintings by some modern masters of the 20th century including Picasso, Dali, and Warhol for those easing their way into contemporary works. Cost: Free for main collections, sometimes fees for special exhibits. Location: Bankside London, SE1 9TG. Tube Stop: Blackfriars, Circle and District Lines. Or London Bridge, Northern and Jubilee Lines. .
Arguably the best view of London’s incredible skyline is from the viewing platform on the 68th, 69th and 70th floors of The Shard. 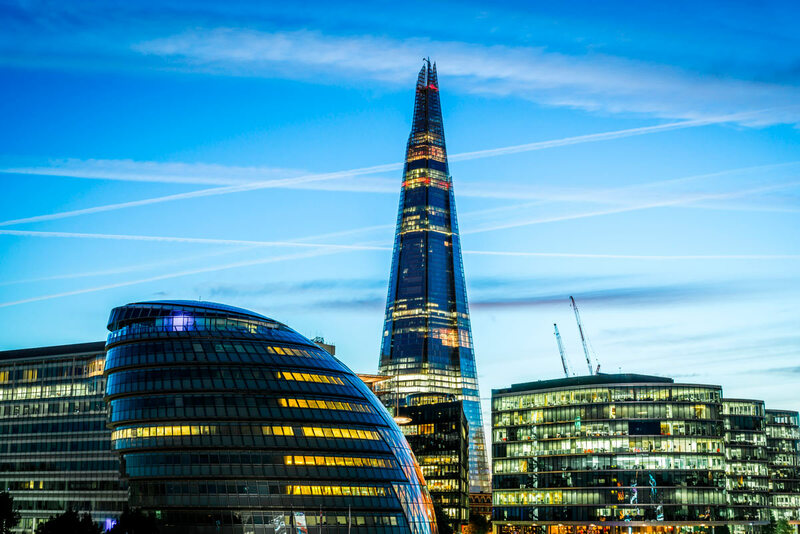 Named due to its shape looking like a giant shard of glass, this is the highest viewpoint you can get of London, and on a clear day affords views for up to 40 miles around on its 360-degree viewing area. To me, this is the spot to watch your last sunset in London. Book your tickets ahead online to get a better price and book it to go in about 20 minutes before sunset is due. Your ticket is timed within a 30-minute slot to go in, but there are no restrictions once you’re inside. Also remember, if you have the London Pass, The Shard is included in the price. They even offer a weather guarantee where if the weather is bad and you can’t see the view, you’ll be given a free ticket to return another day. 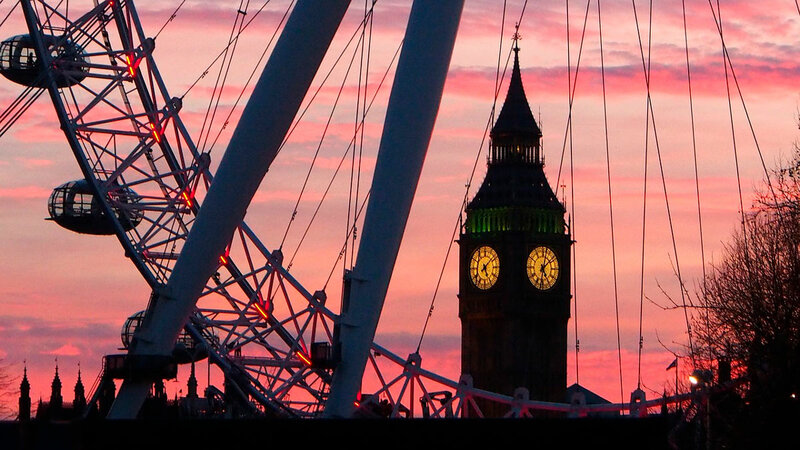 After you’ve seen a stunning sunset, its time to have a farewell to London dinner. The South Bank area has many fantastic eateries, most with great views of the skyline. My pick in this area is The Butlers Wharf Chop House, which is situated with unrivaled views of the beautifully lit up Tower Bridge. 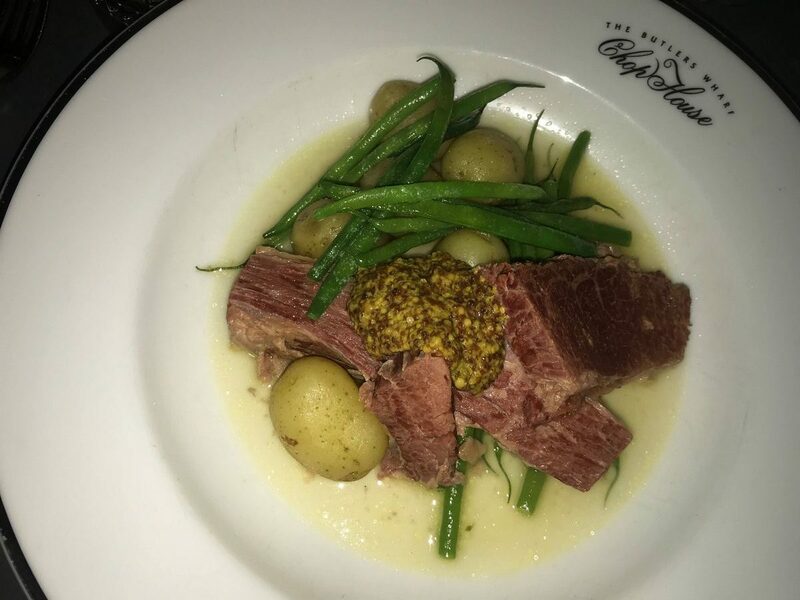 While their signature steaks aren’t cheap, they do offer a very reasonable and delicious fixed price menu. Cost: Standard Package £24 (booked 14 days in advance), £27 (1-13 days in advance) or £32 on the day. 25% off for children and concessions. This is included in your London Pass! Being situated in the south of the UK, and the volume of buildings everywhere helping shelter it from winds that may come in off the Thames, the temperature is generally a little warmer than the rest of the country. However, it is still Britain, and expect rain at any time of the year, or day, even if it was sunny when you left in the morning. Dressing in layers is always a smart move, and bring a small umbrella. Ready to fly to London? 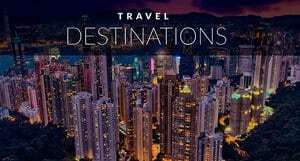 Check out Cheap Flights here with Skyscanner. As I said, London is huge, but public transport is widely available and pretty easy to navigate. Buying an Oyster card for £3 is a worthwhile investment to get the discount on each trip if you’re there for a week or more, or if you are planning on hopping about the zones a lot. You can find locations to buy an Oyster Card and places to top it up on this website. A weekly tube pass starts from £32.10 for zones 1-2. The Hop on Hop off Bus is another option. If you get the London Pass the Hop on Hop off bus is included for 1 day. Getting to and from the Airport: London technically has 6 airports. But for the purpose of this post, we will focus just on the most popular, Heathrow Airport. The most economical way is to take the tube. If you ordered your London Pass with the Oyster Card Option before you arrived you can use the Oyster Card portion without activating the pass itself to pay for the tube upon your arrival. Otherwise, it will cost you 5 pounds at peak times and 3 pounds any other time. You can also take a coach like the Megabus for about 6 pounds. A good option if you have a lot of luggage. A Private Transfer will cost about $78 USD one way. There is no doubt that London can be expensive. But luckily there is a pass that will allow you to get free or discounted admission as well as skip the lines at most attractions listed in this post. The London Pass is the one we recommend. This pass allows you to get the most bang for your buck while helping you save time by skipping the lines. We have used their passes in both Rome and Paris as well and found them to be the best ones on the market. Free hop-on-hop-off bus tour ticket of London for 1 day. Optional Pre-Loaded Oyster Card for access to London's public transport system. 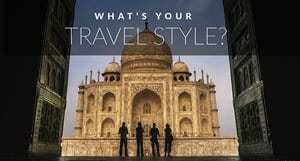 Free detailed Guidebook to help plan the perfect trip. Discounts on Theatre Tickets, dinner cruises and more. Now you can see why we recommend this card. It includes a lot. So, how will this pass save you money? In order to get the most out of the London Pass, we recommend planning out your trip before you arrive. If you are planning to visit a number of the Free sites then this may not be the best value for you. But if you are on your first trip to London, and want to see the most popular places in London then this could really save you some money. When we totaled up the entry fees and added in the value of the Hop on Hop Off Bus then compared what is covered in the London Pass (€125), we came up with a savings of almost €40. In our opinion that is a great amount of savings. 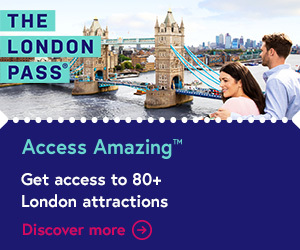 When making your decision you should be aware that attractions like The London Eye, Buckingham Palace tours, London Dungeon, London Aquarium, and tours of the Houses of Parliament are not included in the Pass. While the cost savings is worth it on its own merit, it really is the time saving and convenience elements that you will love the most. In order to make the most of your three days in London, you will definitely want to get this card. You can purchase it from the official site here. Check out how cheap you can fly to London below! By clicking on the links below will take you to a break down of each London neighborhood and suggested hotels. Camden – The once weird and wacky, now simply a cool hang place with one of the best markets around. We've taken a few amazing tours and London and highly suggest having a guided experience or two when visiting the city. We recommend Viator as they have a great selection of tours and their guides are amazing. Harry Potter Tour of Warner Brothers Studio in London: If you are a Harry Potter fan then this is a must do.. Behold original sets such as Platform 9 ¾ and Diagon Alley; see the Hogwarts Express steam train; ride a broomstick like the cast, and uncover the behind-the-scenes secrets of the movies’ on-screen wizardry. This Harry Potter studio London tour includes round-trip coach transport and entrance tickets. 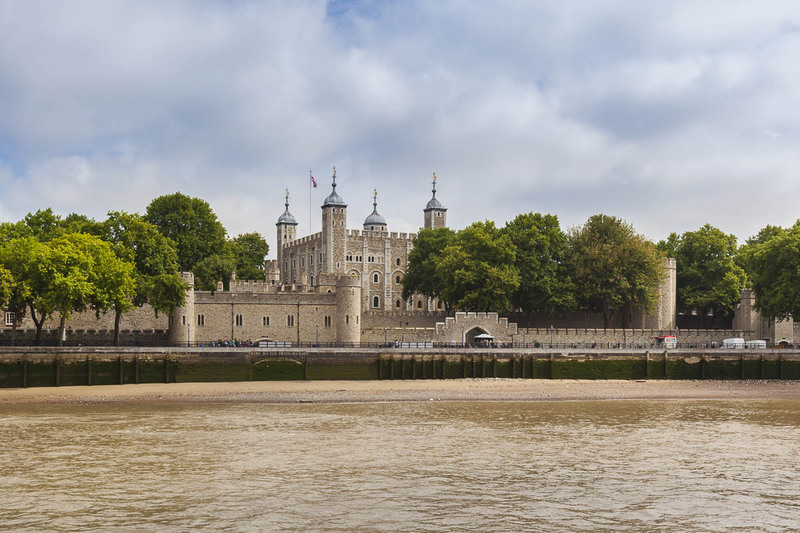 Royal London Walking Tour: Early Access Tower of London & Changing of The Guard: Discover London’s royal history and sights on a London tour by foot and boat. Start with an early access visit to the Tower of London to see the opening ceremony and Crown Jewels without the usual daytime crowds. Then, take a sightseeing cruise, and learn all about the British Royal Family from a knowledgeable local guide. 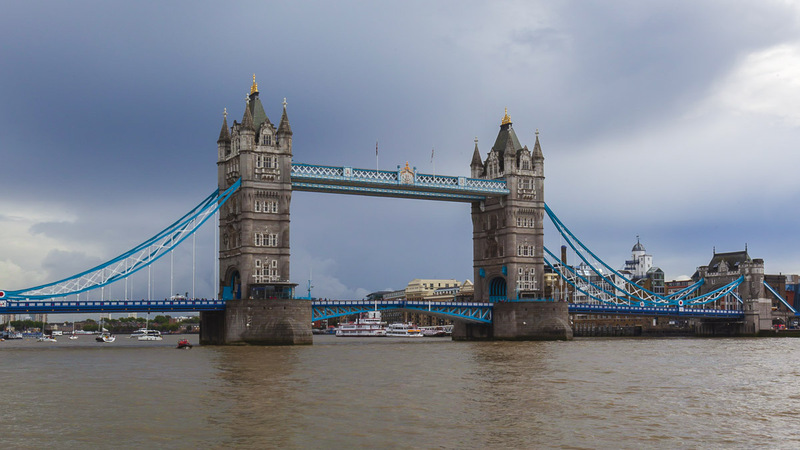 The Original London Sightseeing Tour: Hop-on Hop-off: Your ticket not only gives you access to the multiple routes that the ultra-convenient hop-on, hop-off buses travel, but also to a cruise on the Thames and three fascinating walking tours. Excellent way to get the scoop on all the top attractions. Stonehenge, Windsor Castle, and Bath from London: If you have some more time in London we highly recommend this tour. This day trip from London lets you discover some of England's gems at a great price. London is an incredible, vibrant city. Like New York, it never sleeps and they both have this electric energy I haven’t felt anywhere else. They are similar in style but London has a distinctly British feel. It is full of history, yet is constantly reinvents and trail blazes. It is definitely worth more than one trip. 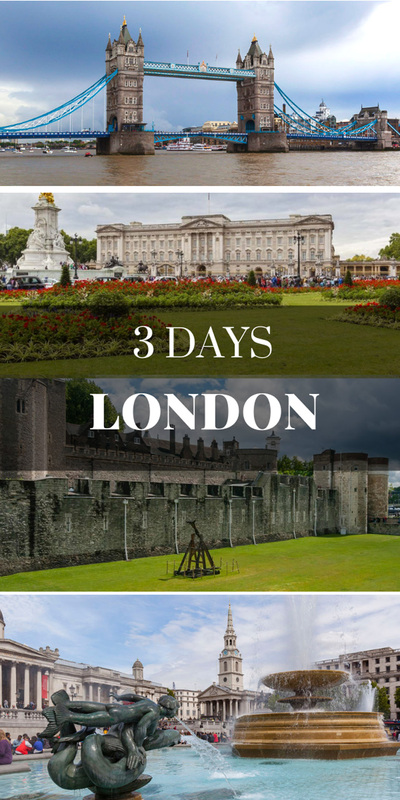 You can definitely do London in three days and I hope these ideas of what to see there give you a good introduction to it, and whets your appetite to return. Whatever you’re interested in, London will have it for you. Whether you’re going for the history, the Royal connections, the food, the markets, the banter with local geezers, or the museums and galleries, I’m sure you’ll love it, and it’ll love you right back. 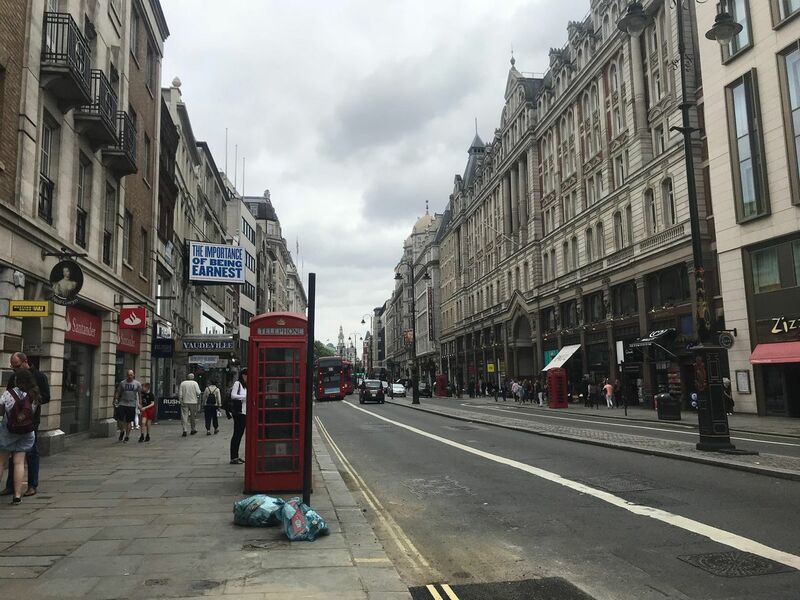 Did you enjoy this post on London? Why not Pin it on Pinterest? 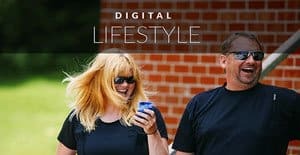 Karen Worrall is a travel blogger and freelance writer. Based in Edinburgh, Scotland, she has lived in six countries, including London in England, and sailed the seven seas entertaining on cruise ships for 13 years. 9 Responses to "3 Days in London – The Ultimate London Itinerary"
Great stuff as always. My question is how much does 3 days in London actually cost? I know the pound is much stronger than the USD. Please share some insight. Oh my god you made it so simple.Lovely article with it’s order and included great places. Specially the day 1 itinerary for me is the best and it is followed by day 3 Itinerary. Your writing skill is truly amazing. 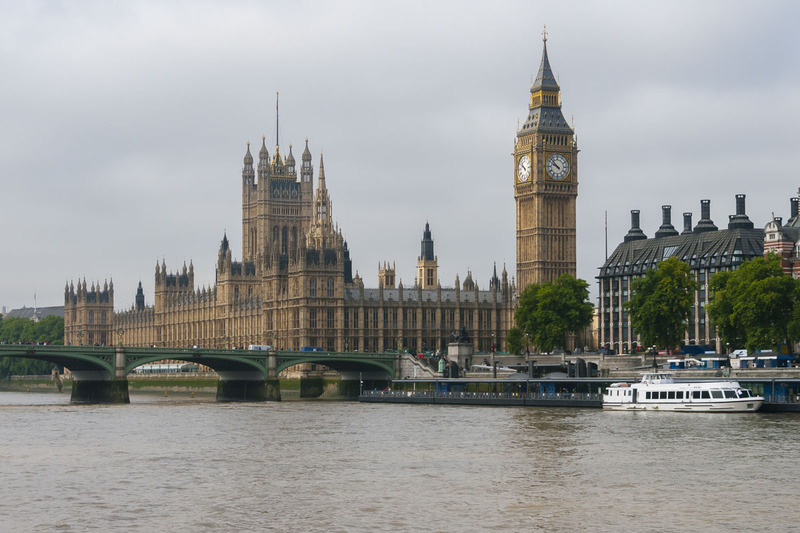 Thank you for sharing this information about the UK’s capital London. I would love to go there, your this information will help me that time. Glad the post could help and hopefully you get to visit London soon! Wow, I am visiting London next week and this post cleared many of my doubts, thanks a lot. cheers..! Have a great time! I wish I was going back with you!